Rozanne Agnes Phillips, 89, of Tiffin, died Wednesday, July 4, 2018, at St. Francis Home where she had resided for the past six years. She was born Jan. 8, 1929, in Tiffin, to Joseph S. and Agnes B. (Gase) Phillips. She is survived by a brother, Eugene (Gene) and sister-in-law, Mary Catharine Phillips of Tiffin; nieces, Therese Phillips of Columbus and Merre Phillips of Tiffin; and nephew, Martin Phillips (Carlos Lugo) of Columbus. A 1947 graduate of Calvert High School, she remained a devoted supporter of Catholic schools her entire life and was inducted into the Calvert Alumni Hall of Fame in 1998. She began her 44-year professional career at St Joseph Church in 1950, where she was hired as the church secretary; eventually she was promoted to business manager. Her nieces and nephew all worked for her in the parish office at various times throughout her career. 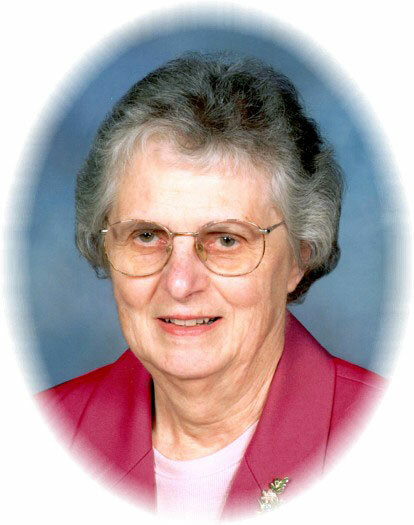 She was a lifelong member of St Joseph Church, and served many years on the Rosary Altar Society and Cemetery Board. She also served as the recording secretary for the Calvert Foundation and was instrumental in promoting the “52 Club” for many years. Her dedication to her job and her commitment to St. Joseph Parish and School were deep and unwavering. Her volunteer work included many years serving as a “Gray Lady” at Mercy Health- Tiffin Hospital, by working in the gift shop; in retirement years, she became an usher at The Ritz Theatre. She had a volunteer’s heart and was always willing to quietly lend a hand in support of many causes. Her hobbies included travel, as she visited many parts of the United States and Canada; sewing, as she made many of her own stylishly tailored clothes throughout her working career and taught her nieces to sew; being an avid bridge player; baking cookies and pies for friends and family, making dollhouses (which, on at least one occasion, was raffled at the parish festival); and being an avid and loyal Notre Dame Fighting Irish fan. Visitation with the family will be an hour before the Mass, starting at 10 a.m. and her funeral Mass will be celebrated at 11 a.m. Monday, July 9 2018, all at St. Joseph Church. The Rev. Joseph Szybka will officiate. Burial will take place immediately following in St. Joseph Catholic Cemetery. Her family is especially grateful to the nursing staff of St. Francis Home (specifically on 2 West) for the compassionate and loving care she received, especially in her final weeks. In addition, they’d also like to thank the staff at Community Hospice Care for their care and support at the end. Memorial contributions in Rozanne’s name may be made to Calvert Catholic Schools, St. Francis Home or to a charity of the donor’s choice. Arrangements are under the direction of Traunero Funeral Home and Crematory, 214 S. Monroe St., Tiffin, OH 44883, (419) 447-3113. For directions, out-of-town flower orders or to offer condolences to the family, visit www.traunerofuneralhome.com.